SANTA MONICA, CA — What’s in a picture? 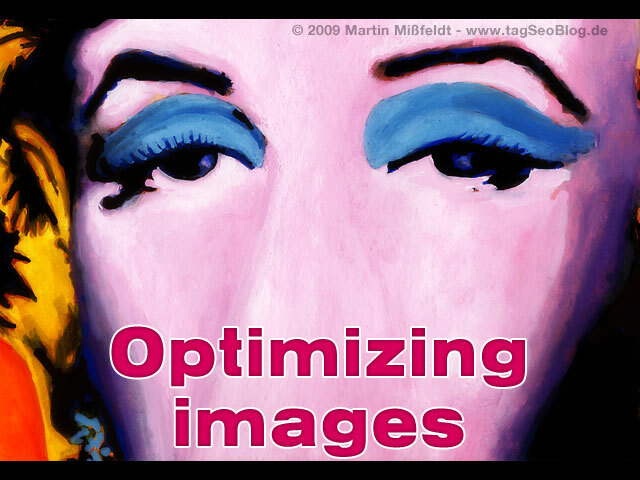 Martin Missfeldt’s illustration spotlighting the importance of optimizing pictures on TagSeoBlog.com is certainly worth a thousand words. But in order for any image to get the traffic that it might very well deserve, it has to be optimized correctly. When basic image SEO is done correctly, an image like the one above can be an extremely valuable addition to a website (after all, I used an image Google search to find this image). According to Danny Dover, the lead SEO of SEOmoz.org, an image is only as good as the text supporting it. Dover delves further into his image SEO expertise in his video discussion on a recent SEOmoz.org Whiteboard Friday. In fact, Dover points out that search engines need text to help the images serve their intended purpose, and that well-developed sites tend to pay attention to image SEO. This newfound knowledge is a wake up call to this writer to implement those changes from this day forward, and I’m sure that it had the same impact on the plethora of other bloggers and SEO analysts who have read it. “Besides just being useful for people, images are also, it turns out, useful for search engines. I think part of the reason behind that is that pages that are well developed tend to also have images on them because it helps portray information in a way that textual based content can’t do,” Dover says. 1. Alt Text: This is the text that will pop up if your image fails to display, either because of someone’s browser or the image disappearing. From an SEO perspective, you can save face, because alt text tells Google what that image was. Dover has a quick tip: keep them below about 140 characters. 2. Filename: The filename is also information for search engines and other technologies, but alt text is stronger for SEO purposes, especially when backed up with a filename. 3. Surrounding Text: This is often overlooked, but the text around an image gives Google an idea about the image itself. The surrounding text can either be a traditional caption, or it can just be the paragraphs around the image (like the picture in this blog). 5. Human Categorization: Human categorization comes from the early stages of developing recognition software. Google would hire people and they’d say, “label this.” In fact, Google was semi-famous for creating this game. It was called Google Image Labeler, and it would show you an image of, say, an apple, as Dover explains further. “They would ask you in Family Feud style, which is a game show here in the United States, to list words that are associated with that object. You’d say something like apple, and you’d earn points if someone else also said apple. Maybe it’s red, Fuji, or Grandma Smith, or whatever it is. So other words that are associated with the image. And that way they could train their software to start to understand what general shapes and ideas mean within images,” Dover says. While categorization has evolved, an eye for detail is still best done by the human eyes. But, at the end of the day, image SEO is the most effective as part of an overall SEO effort that is important to reach your desired customer base, according to Ali Husayni, the CEO of the SEO service company, Millionairium. “You may not have the budget for a full-scale SEO campaign if you’re just starting out, but some time with an SEO consultant to get you started may be within your budget and well worth the expense,” Husayni says. Thanks for conbtriuting. It\’s helped me understand the issues. i know \”alt text\” ,but \”title text \” in image ?